Celebrating your wedding is exciting and I am prepared to guide you toward your very special day! The marriage ceremony reflects your love and public commitment to that which God has instituted. Your vows, often symbolized by the giving and receiving of rings, are an outward expression of the covenant you are making. to ask any questions you may have. My goal as your officiant will be to make your day a paramount experience as you join together to unite and become one. 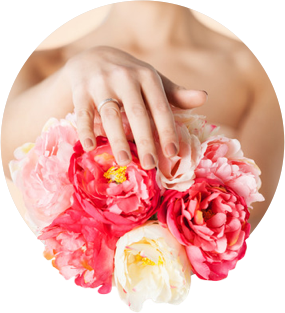 I help brides and grooms plan their perfect ceremony and will assist you in selecting vows that will make your day memorable. Whether you decide to celebrate your love and covenant around a traditional ceremony or one of your design, I will work closely with you to make your wedding day exactly the way you want it to be. Are you planning on getting married on the beach, at a resort or within a gated-community in the low country region? I’m sure you have a lot of questions, with a million things on your mind….. Here at WeddingsAndVows.com, we don’t want you to have to wonder who is going to perform your ceremony. We don’t want you to be concerned about this. For 38 years I served as a pastor in the United Methodist Church. I now live with my wife in the area of Hilton Head Island, South Carolina. After officiating hundreds of weddings as a pastor, and now being called on to officiate weddings on the beach, resorts and within gated communities, I hope my web page will benefit you as you plan your big day. Having performed many wedding ceremonies, I am excited to partner with you and your fiancé to create a meaningful wedding experience. I will work closely with you, via my web page, phone/text and e-mail to assure all details of your rehearsal and wedding ceremony are fully met to your satisfaction. So, whether at the beach, within a resort or gated community, your “Southern Wedding of Distinction” will meet your every need. I help brides and grooms plan their perfect ceremony. I can help you choose your perfect words for your perfect day. Whether your ideal wedding is a destination wedding or if you already call the Lowcountry home, your “Wedding of Distinction” will meet your every need and dream.